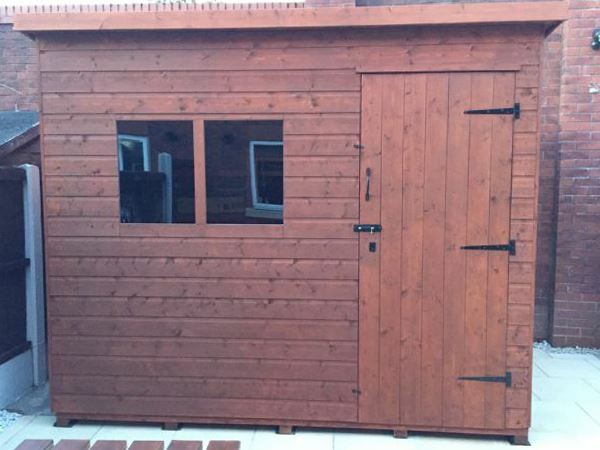 The Tiger Shiplap Extra High Pent shed gives an excellent option for our classic style pent shed with that extra floor to ceiling height and an extra high door. 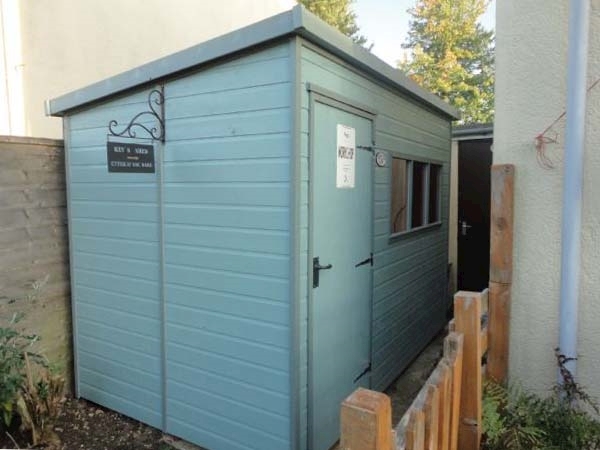 Due to the extra height this building has superb internal storage space. 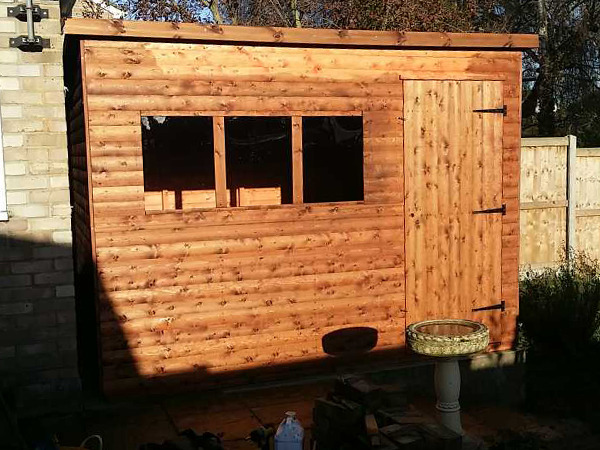 It is made with our quality tongue and groove shiplap cladding and is a strong and robust building that will be standing strong for many years to come. 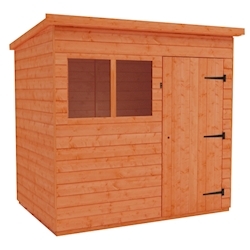 The Tiger Shiplap Extra High Pent shed gives an excellent option for our classic style pent shed with that extra floor to ceiling height and an extra high door. 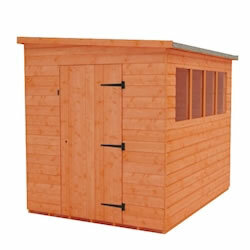 Due to the extra height this building has superb internal storage space. 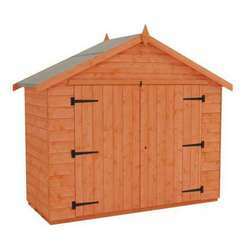 It is made with our quality tongue and groove shiplap cladding and is a strong and robust building that will be standing strong for many years to come. 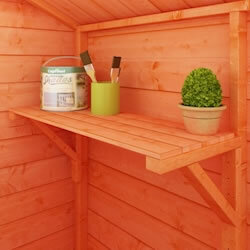 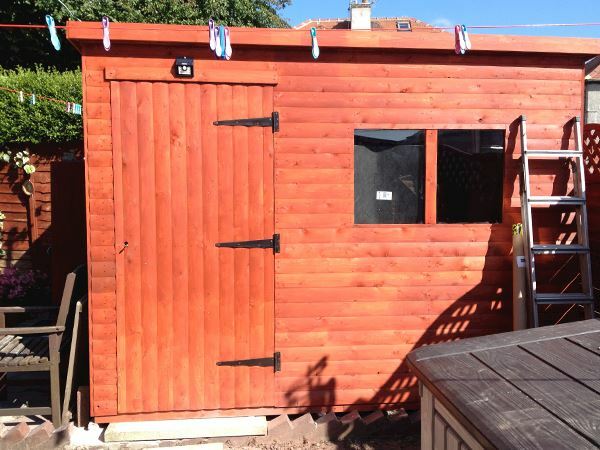 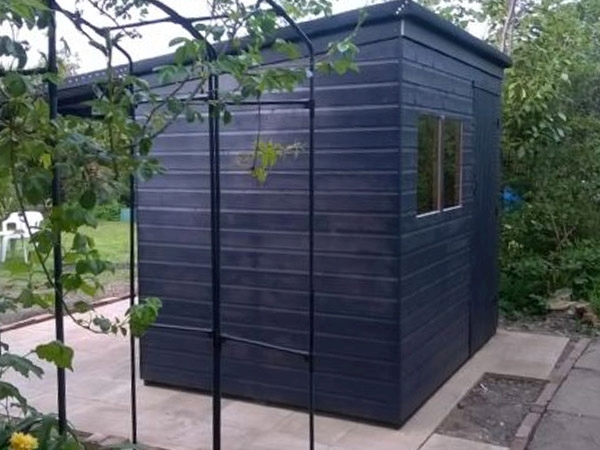 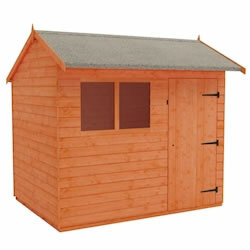 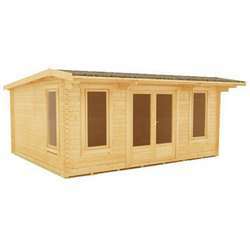 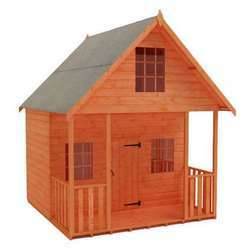 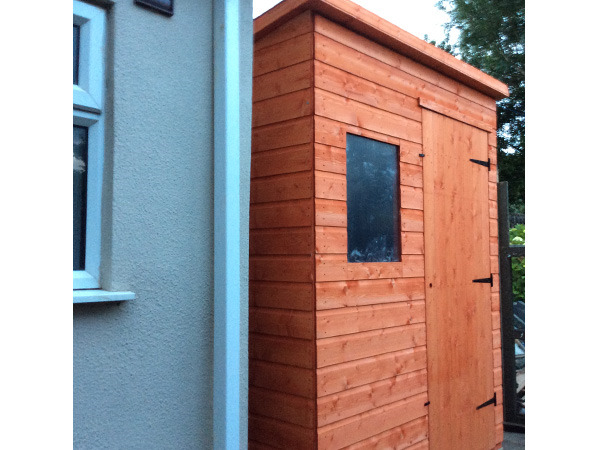 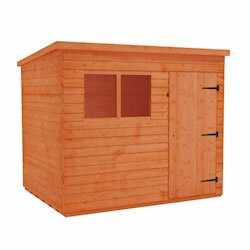 The extra high internal space is accessed through an extra high door to allow ease of access to this deluxe shed. 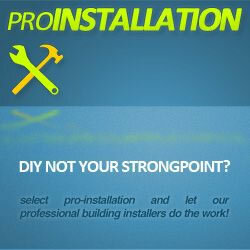 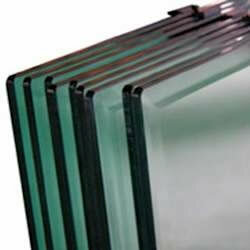 Windows are supplied as standard and there are many options to choose from for door and window configuration. 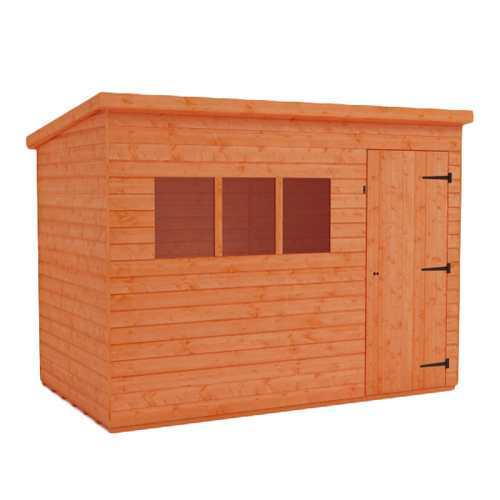 The Tiger Shiplap Extra High Pent shed is constructed from secure and robust superior grade shiplap cladding which has been made from selected European softwoods and is protected with a red cedar water based treatment. 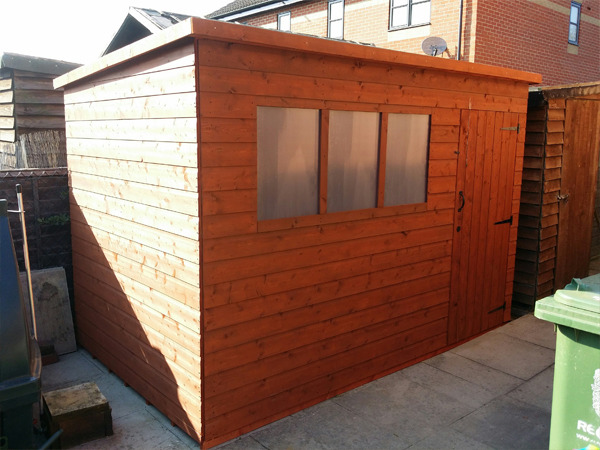 The interior is further strengthened by the use of 28x44mm rounded four corner framework throughout and is fitted with a high security lock as standard. 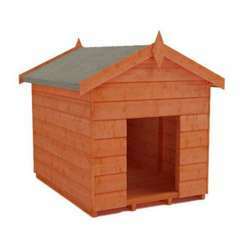 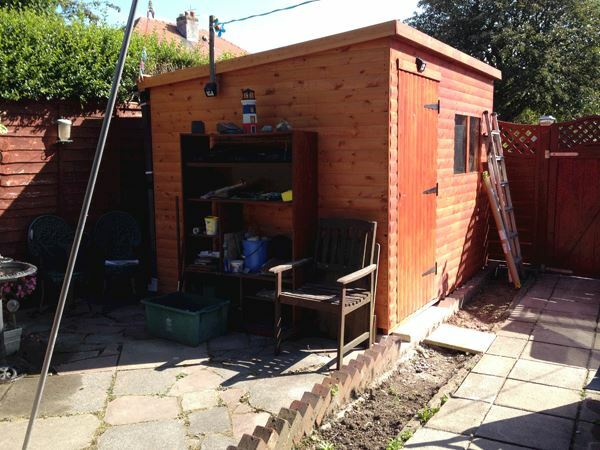 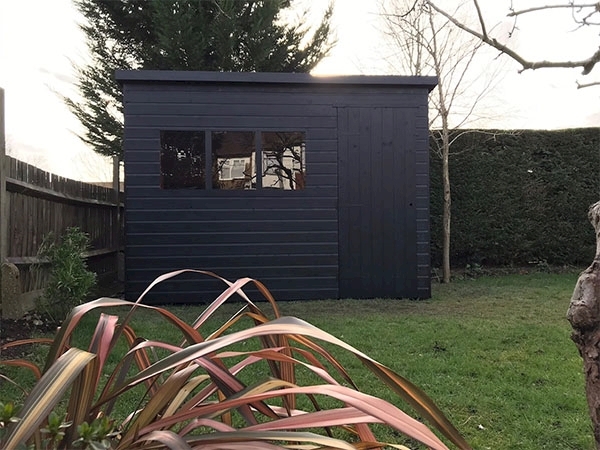 This makes the Tiger Shiplap Extra High Pent shed an excellent and aesthetically pleasing product which provides ideal storage space for any garden. 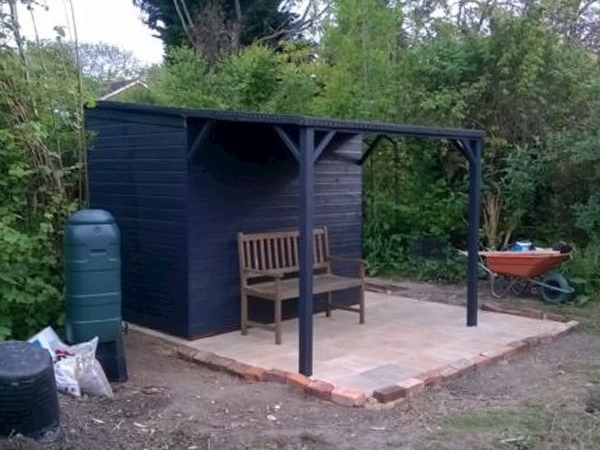 The roof of the Tiger Shiplap Extra High Pent shed is covered with a layer of heavy duty green mineral felt for additional protection. 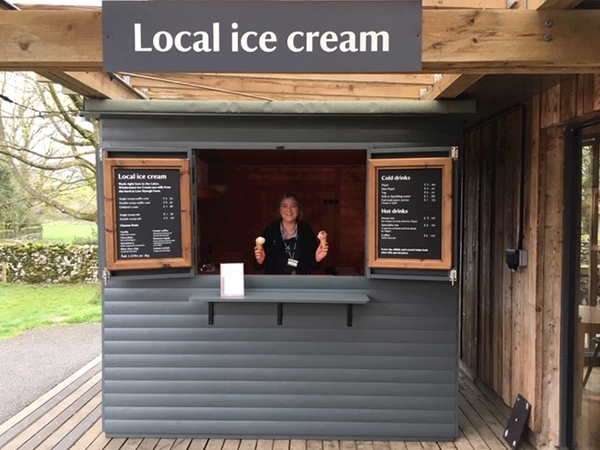 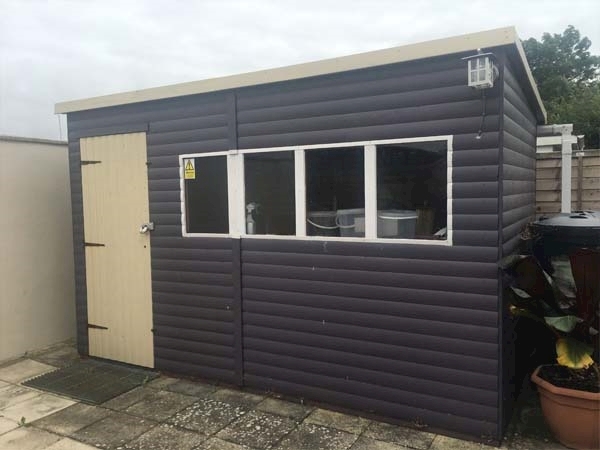 THIS SHIPLAP EXTRA HIGH PENT SHED is clad with high grade 12mm finish shiplap tongue and groove cladding – beware of shiplap pent sheds that feature poorly finished rough edged boards milled out of inferior timber often with a thinner finish. 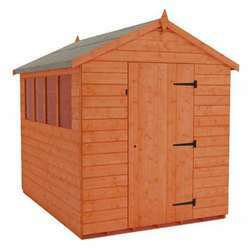 THIS SHIPLAP EXTRA HIGH PENT SHED features heavyweight ‘rounded 4 corner’ 28x44mm finish framework throughout giving it the strength to last – beware of sheds that use rough sawn ‘matchstick thin’ framework that barely hold the building together. 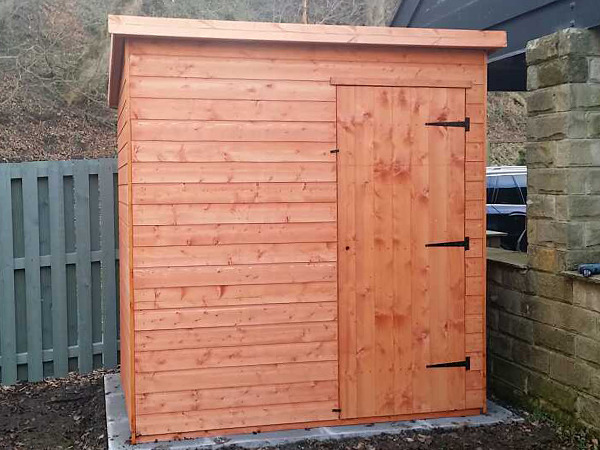 THIS SHIPLAP EXTRA HIGH PENT SHED retains our extra high ridge height – beware of sheds that are incredibly low making it difficult to stand up inside. 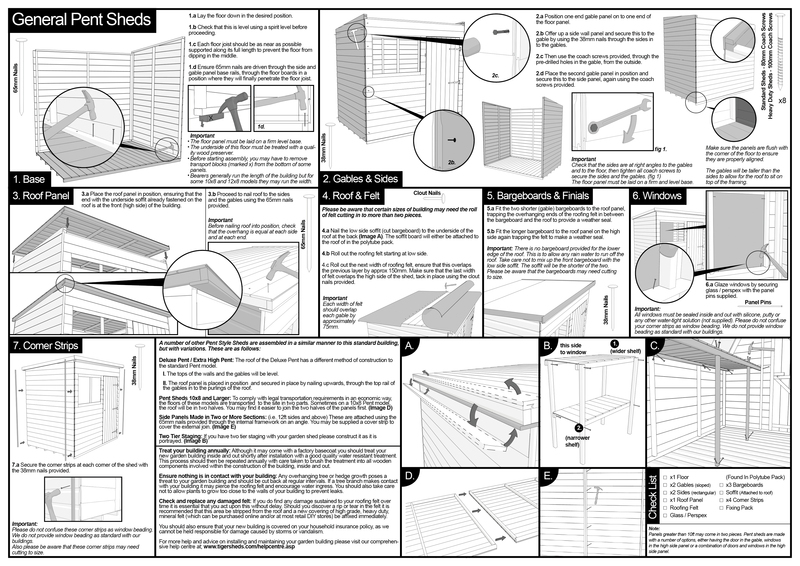 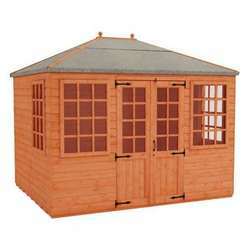 It is essential that this garden shiplap extra high pent shed is assembled strictly in accordance with the instructions supplied on a firm and level base constructed from a suitably durable material. 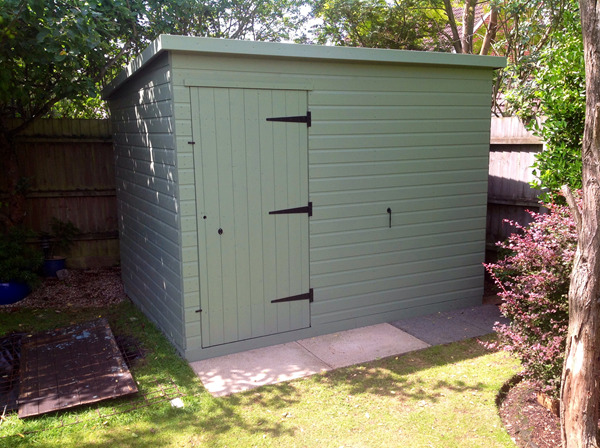 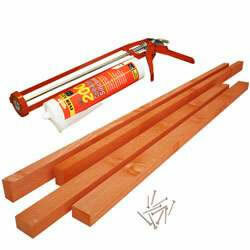 The garden shed should also be treated shortly after assembly and then annually thereafter with an appropriate high quality preservative and all glazing units must be sealed, inside and out, with silicone or other water tight sealant.